Summer has finally come and this is the ideal time for friends’ gatherings at home. Today we present you some ideas for a healthy and delicious buffet made with Yoleni’s products, an e-shop that gathers amazing products from all over Greece and brings them to your front door really quickly! 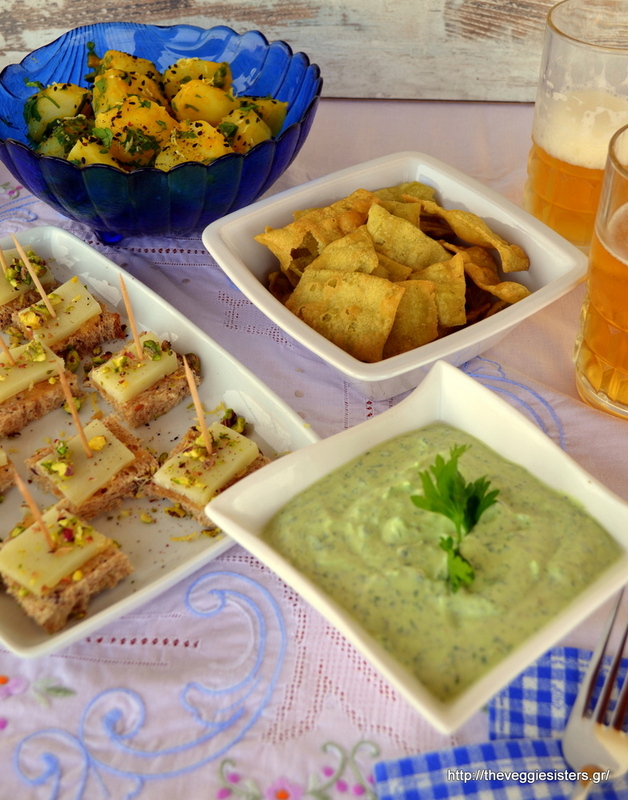 So enjoy these mediterranean rusks with tomato-feta cheese sauce, frsh fig-veggie bites, lemony bites with graviera cheese, parsley potato salad and a refreshing parsley yogurt dip with spinach chips. Amazing, real, healthy food to feed yourself and your guests! 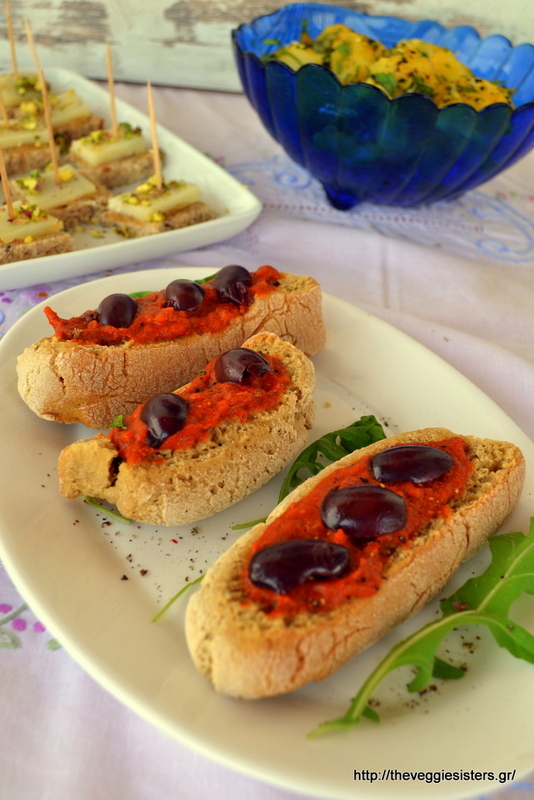 For the mediterranean rusks: Spread 1 Tbsp of the sauce over the rusk and tpo with kalamata olives slices. Garnish with arugula leaves. 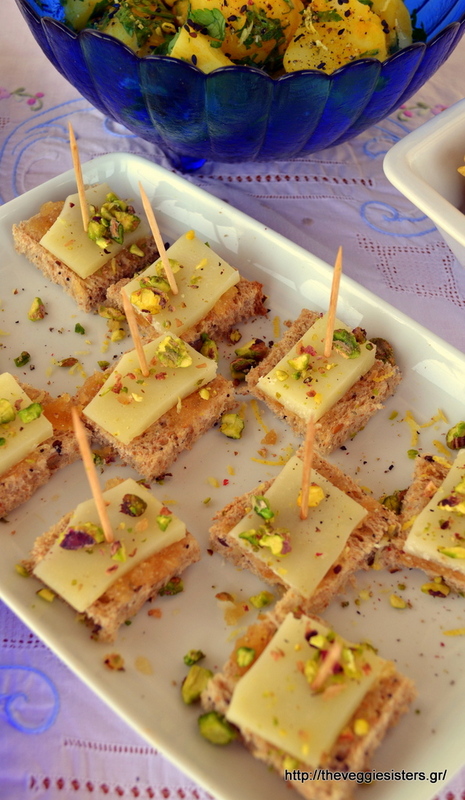 For the lemony bites: Spread lemon jam over the bread, place graviera slice and top with pistachios. 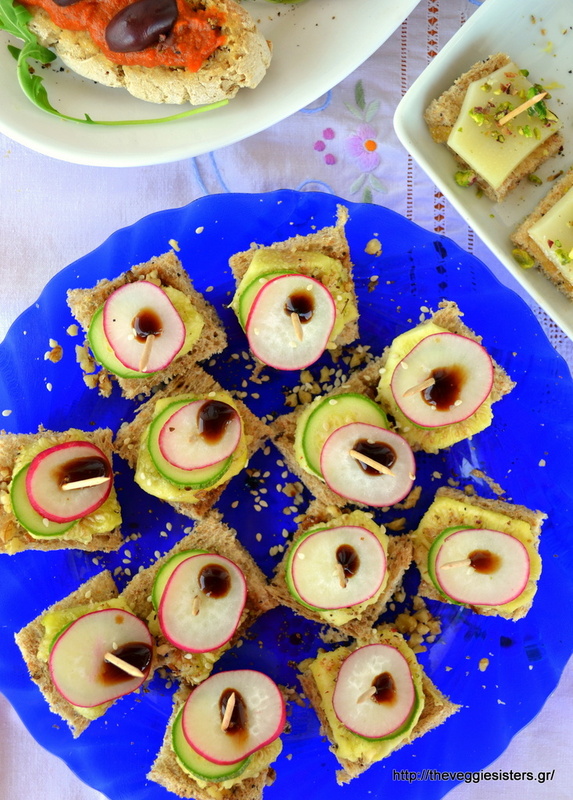 For the fig-veggie bites: Spread balsamic cream over the bread, place a fig slice, a radish slice and a zucchini slice. Top with walnuts and balsamic cream. For the potato salad: Combine mustard with olive oil. Season with salt and pepper. Place potatoes in a bowl and pour over the sauce. Sprinkle with finely chopped parsley. Mix until well combined. Top with sesame seeds and oregano. For the yogurt dip: Blend everything in a food processor until smooth. Empty the dip in a bowl and garnish with parsly leaves. Serve with lasagne chips. Share the post "Ideas for a summery buffet"